One of the hardest things to give up when you go grain/gluten-free is pizza! I have always enjoyed eating pizza at least once a week, so I knew that I was going to need to create a delicious substitute. I tried those cauliflower crusts, but they were nasty!! 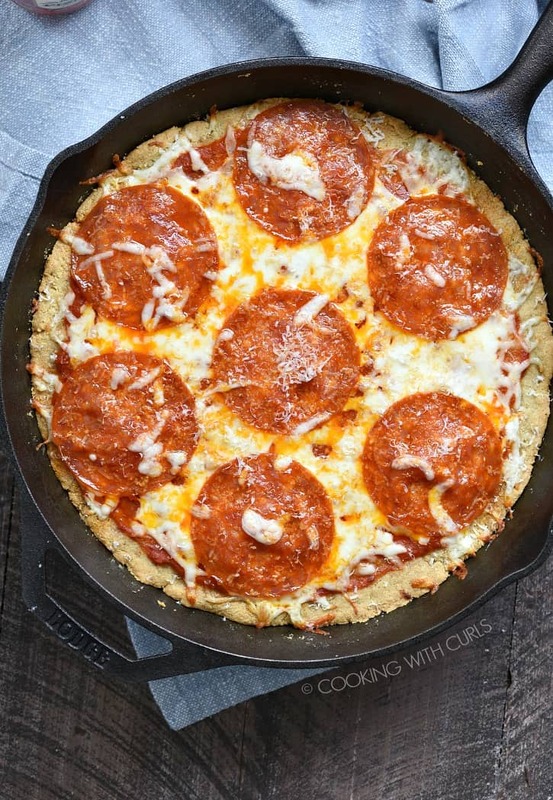 Too greasy, too salty and my son can’t eat dairy so I needed a more bread-like Keto Pizza Crust without cheese being the main ingredient…. Preheat oven to 350 degrees. 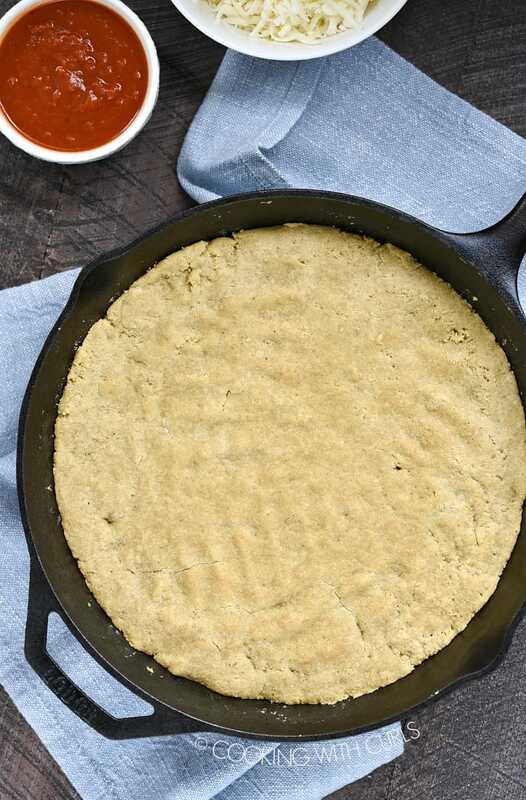 Lightly coat a 12-inch skillet with olive oil, set aside. 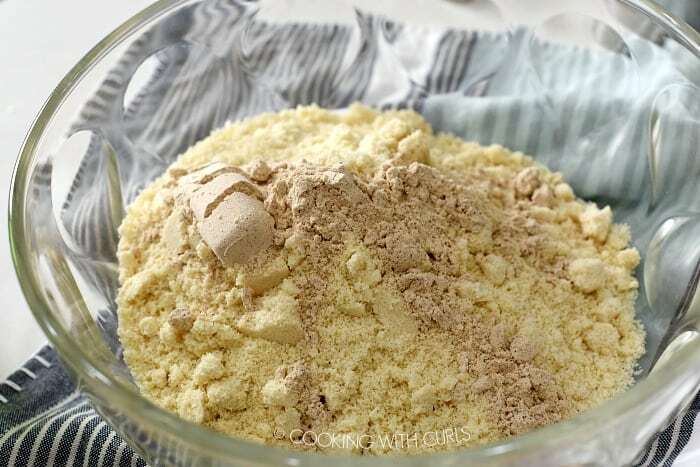 In a large bowl, whisk together the almond flour, protein powder, garlic, onion, salt, baking soda and baking powder. 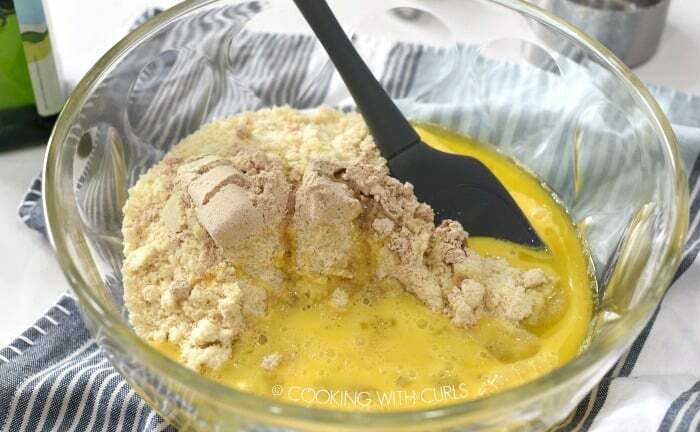 Add the olive oil, beaten eggs and almond milk and mix until thoroughly combined. 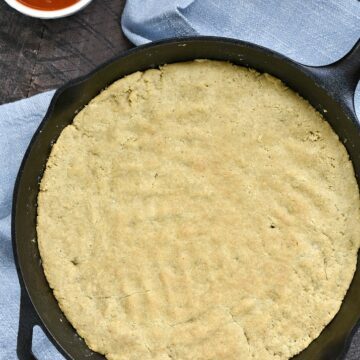 Pour the mixture into the prepared skillet and spread evenly across the bottom and up the sides of the pan. 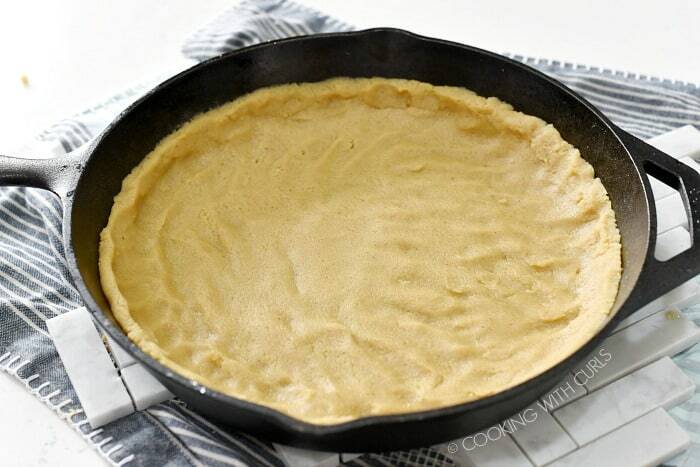 Place in the oven and bake for 20 minutes, until the top starts to crack and it becomes golden brown. Remove from oven and allow to cool slightly before adding your favorite toppings. I topped my pizza crust with 1/2 cup of sugar-free pizza sauce, 1 cup of shredded mozzarella and 7 pepperoni slices. Bake for 10 minutes to melt the cheese, then switch to broil for a couple of minutes to brown the top. Add any of your favorite toppings, but realize that they will not “cook” in 10 minutes. Keep them small or saute before adding to your pizzas. 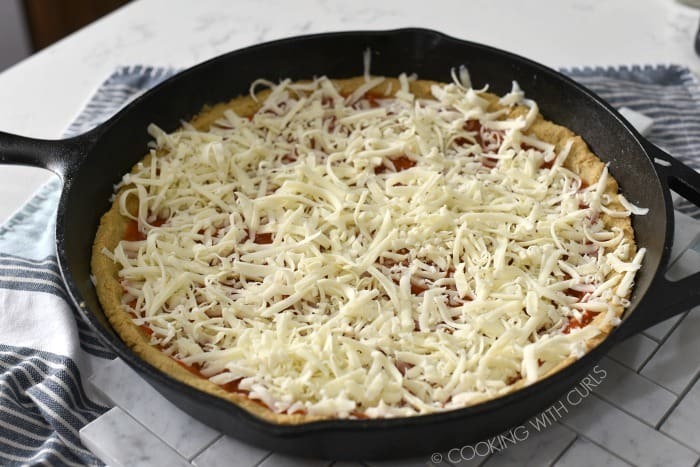 Allow pizza to cool after baking for 10 to 15 minutes to give the crust time to set. This will allow you to pick up your slice of pizza in your hand. You will need a fork to eat it straight out of the oven. Protein Powder – I used Terrasoul plant-based Vanilla, which is no longer available. I cannot use whey protein but that would be an awesome choice. 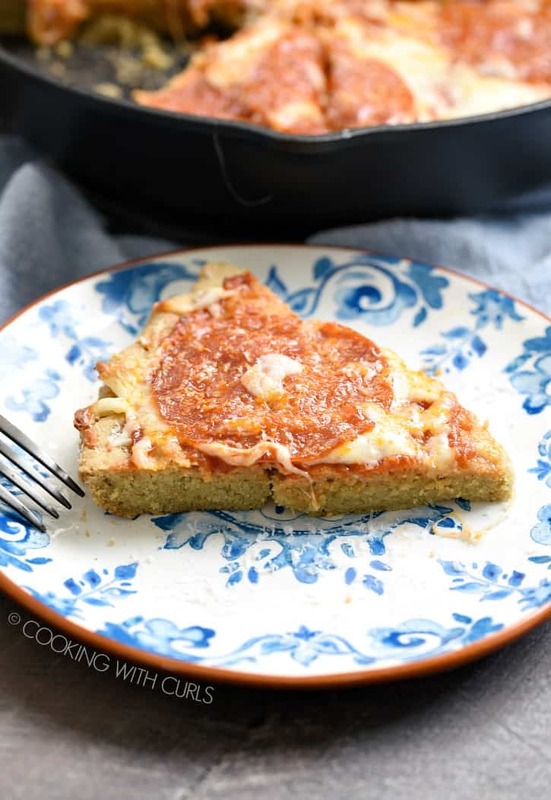 This low carb, gluten-free Keto Pizza Crust allows you to continue your family's tradition of family pizza night without blowing your diet! All ovens cook differently so you may need to adjust cooking time. Nutrition information is guesstimate to be used a a guideline but actual totals will vary based on the actual items used. It did not take into account that the almond milk and pizza sauce are sugar-free for instance.